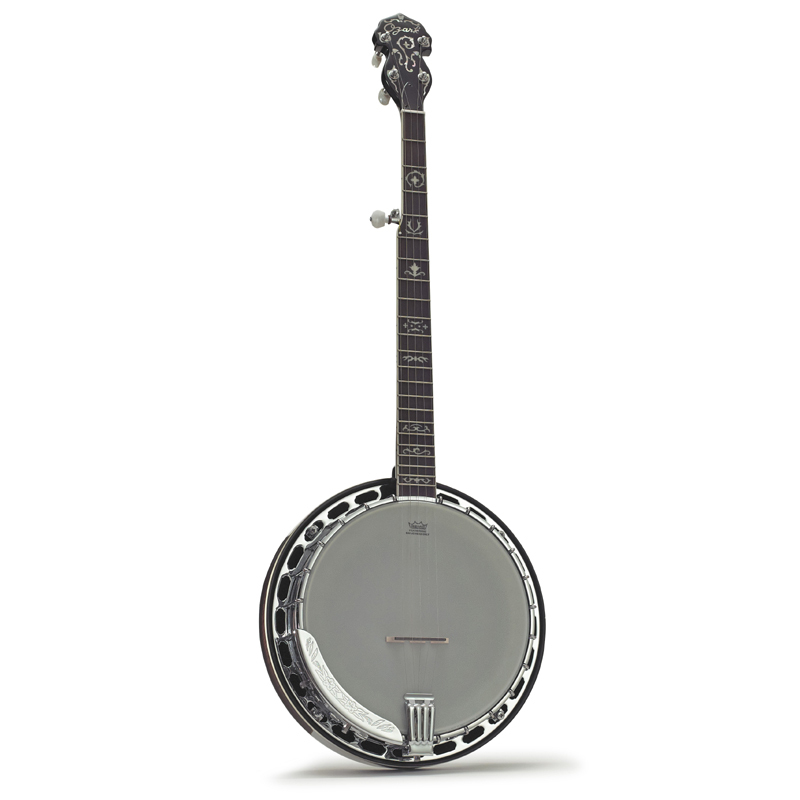 A professional 5 string banjo featuring a solid maple neck and bridge, double co-ordinator rods for adjustment and a cast tone ring for enhanced tone. The solid construction gives a bright, clear tone. It has a wood shell and an attractive flamed maple resonator with inlaid rings, enhanced by high quality chrome plating on the fittings and armrest. An 11” REMO Weatherking head and high quality tuners are also fitted.